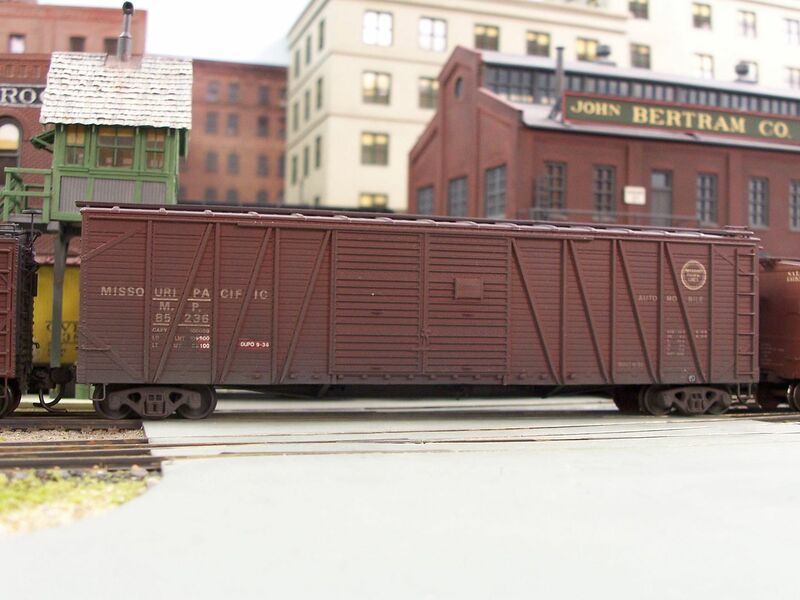 Some times ago, I bought two undecorated Proto 2000 50’ Automobile boxcar kits in a train show at 5$ per kit. After documenting the project, I couldn’t be sure that CNR, my favorite road, ever had this type of car with a door at the A end. I put those kits aside and decided to use them for parts. The excellent Proto trucks and metal wheels are actually being worth more than the price of the kit. Furthermore, the previous owner had started the assembly of one of the kits and some parts were broken or missing. Two weeks ago, while visiting a local hobby shop, I found two Proto 2000 50’ Automobile boxcar kits decorated for the CNR with the correct A end for the prototype at 12,95$ per kit. Although I like to paint and letter my cars myself, I decided to buy them and have some easy modeling. Proto 2000 kits are generally nice kits with small and delicate parts that makes nice cars. In no time I had both ready to be put on the layout. I then thought that I should have a look back at those undecorated kits with the end door. I also did more search on the Internet and found that GTW had such cars and a look at an old photo convinced me that the kit is right with the prototype. I decided to build the kits and replaced the broken and missing parts on the underframe the same way I did on more challenging kits in the last few months. Those cars have deep side sills and those parts will be barely visible when the car will be on the tracks but I know they are there. Here is a photo of the cars waiting for the paint shop. Note that on the closer car, I had to make the tackboards as I had used the one that came with the kit for another project. Easy modeling but fast and good results. A few hours of pleasure too. The results we see here today are the combination of your: in dept research, patience, minute details and quality of craftsmanship. I very much admire your work. Nice to see that you can make use of those end-door cars. Our mutual friend bought a similar car, lettered for the Lehigh Valley, at a train show, but when he got it home and took a look through his Optivisor, realised that the BLT date was too new for his late '20s/early '30s layout. While he was quite taken with the end-door detail, he offered the car to me. You can see HERE what he gave to me, and what I did with it. nice save did kinda the same thing with some P2K undec covered hoppers that I was using as spare parts . 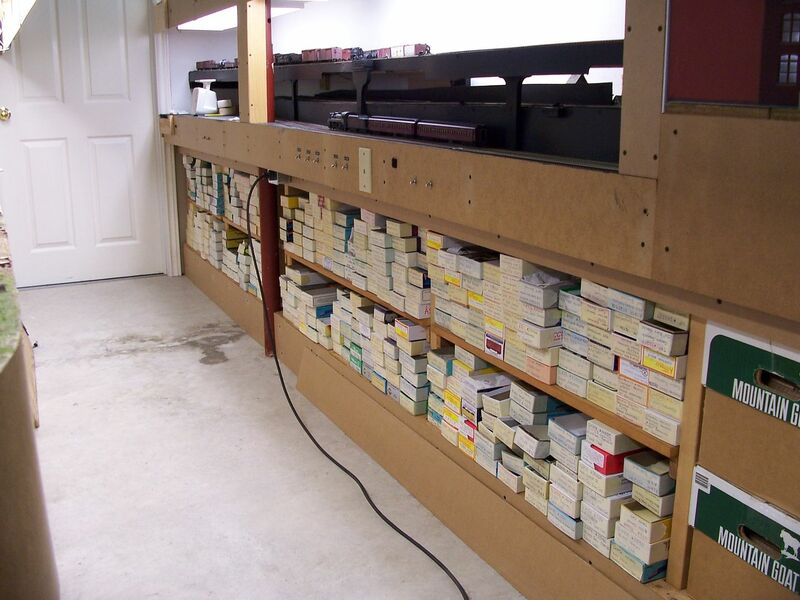 as a side note I have 2 GTW end door auto boxes that if your interested in pm me. Thanks for the offer, Jim, but those cars would have to be stripped completely, as the lettering scheme is too modern for my modelling era. 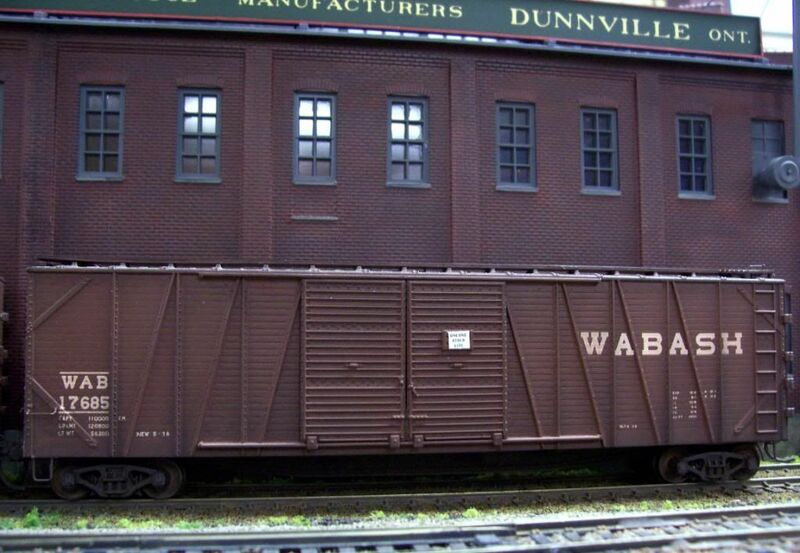 I have quite a few of the Walthers 50' single sheathed cars, many with the end doors. I've also started, using Atlas (formerly Branchline) underbodies from wooden reefers, to scratchbuild five 40' doubledoor automobile cars, with Viking roofs and Hutchins ends. I don't have room for a even a backdrop photo of an automobile plant, let alone a background model, so I've decided that the parts suppliers (engines, frames, drive trains, body stampings, etc., etc., along with the assembly plants, are all "elsewhere", as represented by staging yards. 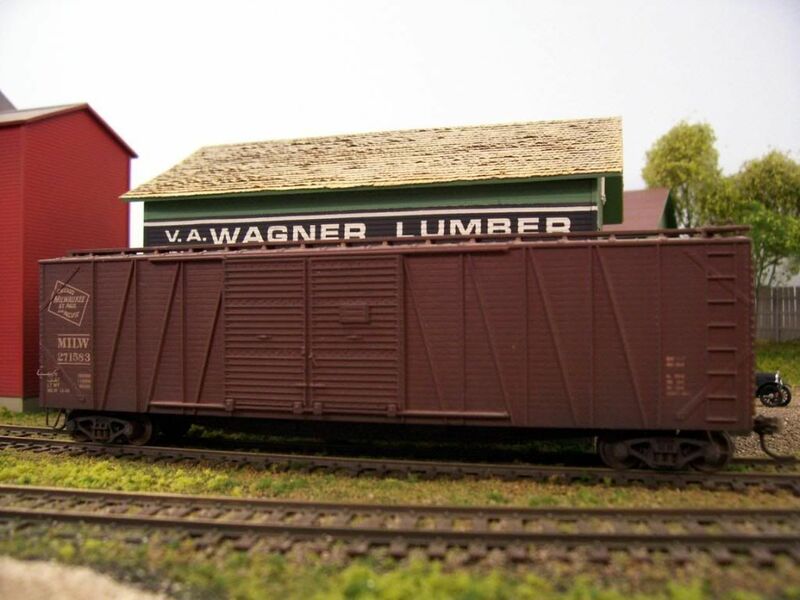 That way, the over three dozen boxcars assigned to automobile service (both for parts and complete vehicles) can at least cycle on-and off-layout, making regular appearances. I don't like to keep the rolling stock in boxes, but it would be impossible for the layout to accommodate them all....there'd be no track available for running trains. Locomotives stay on the layout, while passenger and headend equipment is stored elsewhere, as is maintenance-of-way equipment. I probably have only a dozen-or-so freight cars to add, most of which I intend to scratchbuild. 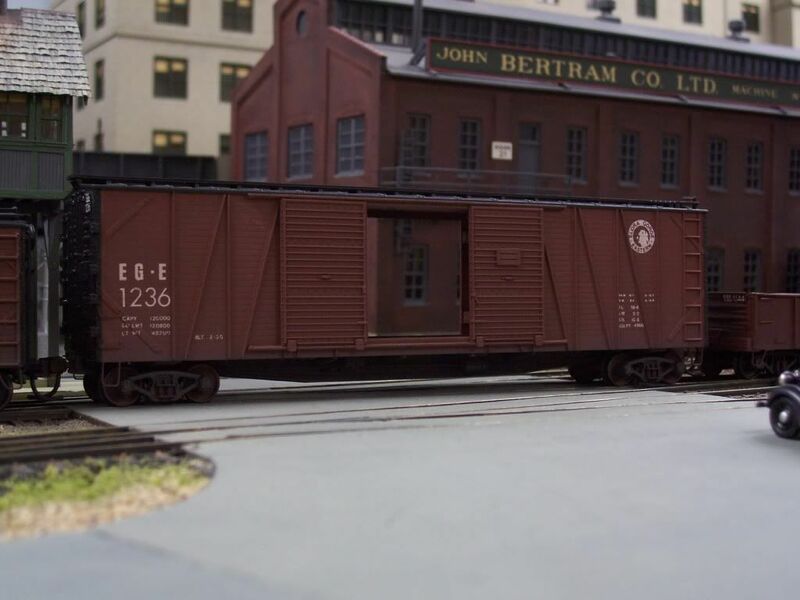 I also have 10 or 12 cabooses to build (mostly from scratch), and roughly the same amount of wooden headend cars to build from Athearn Rivarossi, and MDC passenger cars. A couple of the latter ones will be for friends. I saw your previous post about a similar kit. I agree with you that some parts break easily. On the already decorated kits I was lucky not to break any part. The story was different with the first undecorated kit. I broke two out of the five end grabirons provided and I had to replace them with Tichy metal grabirons. The rod from the brake wheel to the bottom of the car was also broken and I had to replace it with .012'' metal rod, like you did. While opening the second box, I was surprised to find a small bag with metal grabirons for the end, which was a great improvement indeed. I also agree that the sides are somewhat flimsy and I will apply your technique of gluing sheets of .040'' and .060'' styrene if I ever encounter trouble. Your post is another lesson in modeling. Sorry for the misunderstanding, Jim. I do like those cars, but I simply have too many projects on the go (or that should be on the go).